With great pleasure, the Atlassian Crowd team presents the extremely soft and gooey yet rock solid Crowd 2.2.2. 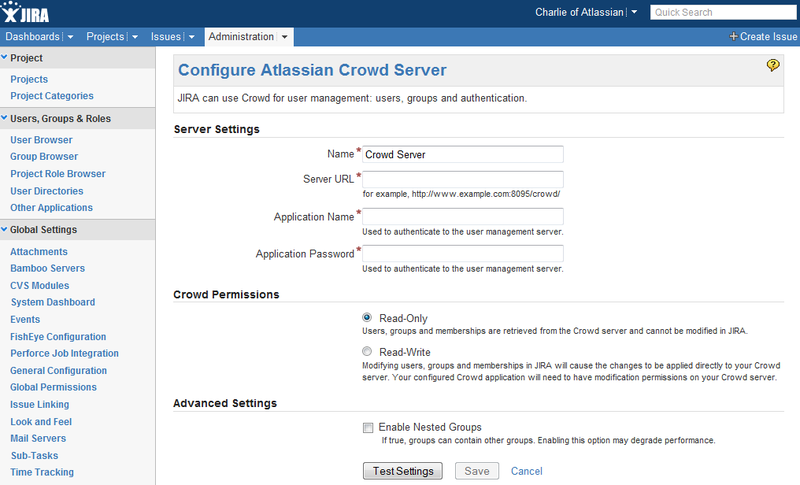 The latest releases of Crowd, JIRA and Confluence work hand in glove to offer a new GUI for rapid Crowd configuration. Crowd itself can now communicate with other Crowd installations, providing hassle-free identity sharing for larger organizations. With our new Crowd Query Language, developers using the Crowd REST API can construct powerful searches effortlessly. We've also improved the way users get automatically added to groups, for a more consistent experience. Crowd 2.2 and 2.2.1 were internal releases. Crowd 2.2.2 is the first publicly-available release of Crowd 2.2.x. Developers will be delighted with the new Crowd Query Language (CQL). Using the Crowd REST API and CQL, you can easily search for and extract specific user and group information from Crowd. Just perform a GET request to the search resource with the restrictions expressed in CQL as a query parameter. Like JQL and EyeQL for JIRA and Fisheye, CQL allows for complex search functionality. Use parentheses to group restrictions and perform more complex searches. The latest releases of Crowd, Confluence and JIRA bring a GUI-driven integration process. Yes, that's right, it's all in the UI. With Crowd 2.1 or later, Confluence 3.5 and JIRA 4.3, you can integrate Crowd via the administration consoles of each application. We have dramatically reduced the need to copy configuration files from place to place and to edit XML values. We expect the dragon population to diminish quickly, as dragon slaying becomes much easier. Please note that we are targeting unfriendly, flame-blasting dragons only. Crowd now supports connections to remote Crowd directories, allowing you to read and write user authentication, group and membership information from another Crowd installation. In particular, this benefits large installations that may have more than one Crowd installation and require identities to be sourced from multiple locations. See the documentation. 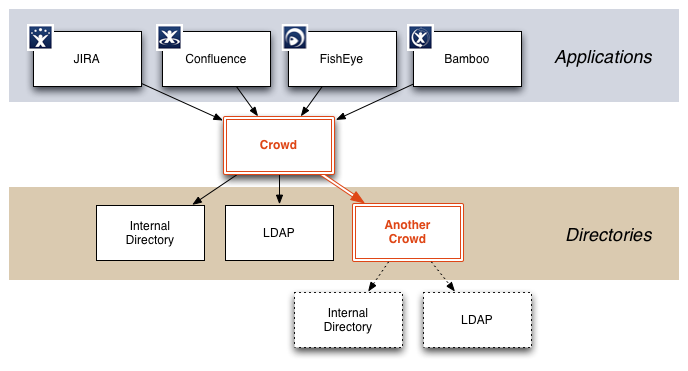 In previous releases there were two methods of adding users to LDAP: using the Crowd GUI, or adding them directly to the LDAP server and bypassing Crowd. If you were using an LDAP connector with the 'Default Group Membership' option configured, users added directly to LDAP would not be added to these default groups. With Crowd 2.2.2, each time a user logs in via Crowd their username will be checked against the specified directory. If necessary Crowd will add the username to the specified default groups, regardless of how the user was added to the LDAP server. See the documentation. Crowd session tokens are now HttpOnly (CWD-1848). Crowd now supports multiple X-Forwarded-For headers with multiple addresses (CWD-1836). Support for automatic MS SQL database upgrades (CWD-2052).